It is a Homeric epic. Family allegiances ripped across a field as brother battles brother. Well, in a sense, except with a half-time show and commercial interruptions. I give you . . .
And more important than what happens on that ball field in New Orleans is the number of chicken wings purchased today. It is a sign of economic recovery. No joke. The estimates are that 250 million chicken wings will be consumed. One wing for every person in this nation. 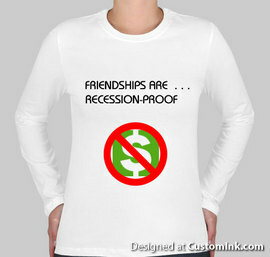 If more is purchased, then it is a sign of economic rebound. If less, well, then, we are spiraling down into the Obama Recession (as I overhead someone saying after Friday’s GDP numbers). Or maybe people are eating healthier foods? Maybe there are more vegans? What if there is an uptick in hummus, bean salsa, kale chips and those gross meat substitutes? I am not giving up on soy futures just yet. But those twelve-pack taco and chicken finger samplers advertised on TV did have a certain appeal . . . .
Last night I was at the gym, in my usual (and clean), well-worn yet dorky gym attire, when I came upon the Sniffer at the water fountain. As you may recall, the Sniffer (http://40andoverblog.com/?p=3247) feigned an allergy to perfumes so that he could come over to where SOB and I were companionably and half-heartedly “working out” (read, “chatting”) on side-by-side elliptical machines. He sniffed and sniffed around us and then said, “I knew by looking at you that you weren’t the type to wear perfume. . . . ” And then he took the elliptical machine next to mine. I think that line would turn off straight girls much less an almost-married lesbian. The Sniffer has since tried to make conversation with me about various, incredibly odd, things. I now think that he is socially inept and just wants to chat the way others do at the gym. I started to feel bad for him, until . . . . This is what the shirt looks like. Of course, I have to tell him in an equally loud voice that I had them made for my friends and they were popular enough that I had to do a second “printing” and ended up with six or so EXTRA of them. “And they are always clean!” I bellow in a last exhausted gasp. Ok, I had to walk away. His disquisition on economic markers (which I had overheard before) is mundane yet pedantic, jargon-y yet shallow, almost exquisitely so. I met POB for dinner after the gym. “How was your day?” she asked. “I need new gym clothes,” was my response.